Grab your sun hat and towel and head to this beachy retreat in the city centre. With the weather heating up and the days getting longer, there's no time like the present to relish that silly season fever and head outdoors to lap up the sunshine. 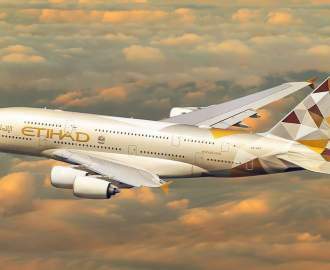 Try as we may to plan regular beach excursions, sometimes leaving the city is tricky. But don't put your beach towel and sun hat away just yet — the Wharf Hotel has brought the sand to the city with its Yarra Beach Bar. 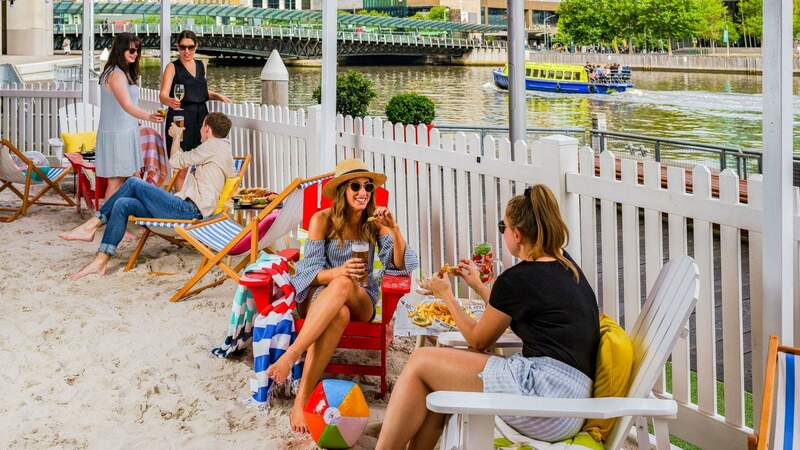 The bar has taken over the lower wharf area of its prime riverside real estate, transforming it into a quintessential Victorian beach, complete with beach huts, sand, deck chairs and an ice cream cart. The three 'beach boxes' are available for bookings of between six and 36 people ($59 per person), making it the perfect spot for your next group hang, whether it be for a Christmas party and family gathering. Your Beach Box package comes with a choice of a seafood platter, which includes oysters, mini prawn cocktails and crab and lobster rolls, or the Wharf platter, with sliders, pulled pork tacos and loaded wedges. You'll also get a beer jug, Canadian Club cocktail jug or carafe of house wine to share between you and a mate, plus an ice cream from the cart. The Beach Bar will also play host to a top-notch New Year's Eve party, featuring DJs, summery sangria and four hours of drinks and food for $130 per person. The Yarra Beach Bar will be bringing the summertime vibes until Tuesday, January 29. To make a booking, visit The Wharf Hotel's website.